Japan’s Ayako Okamoto was 20 years old and playing a softball tournament in Hawaii when she had her first experience with golf. When she looked out the window of the hotel, there was a green below. She and her teammates decided to go play on it. They got in a lot of trouble. 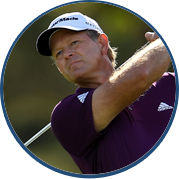 It was an inauspicious introduction for Okamoto, a player who would carry the hopes and dreams of a nation obsessed with golf and hungry for recognition in America. 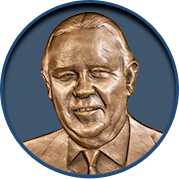 Okamoto’s team won the national championship in 1971. She was Japan’s star pitcher. “The upshoot was my best pitch,” she says. At 22, Okamoto grew tired of pitching softballs and decided to go play on the green permanently. A left-handed pitcher for Daiwabo textile’s softball team, Okamoto learned golf with right-handed clubs and never gave them up. 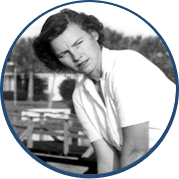 Her company owned a golf course and practice range adjacent to her work location, where she made a seemingly effortless transition to golf. "At first my parents didn't like golf," Okamoto says. "I asked them to give me until I was 25. 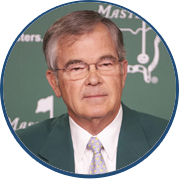 If I wasn't a success in golf, then I'd come back home and do whatever they asked me to do." That never happened. Okamoto was winning in Japan by 25, recording her first victory at the 1975 Mizuno Corporation Tournament. 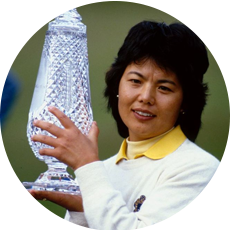 In 1979, at age 28, she won the JLPGA Championship and in 1981, she won eight tournaments and topped the money list. Having dominated in her homeland, Okamoto wanted to test her game against the best. She followed in the footsteps of Chako Higuchi, and became the first Japanese player to embrace the American lifestyle. 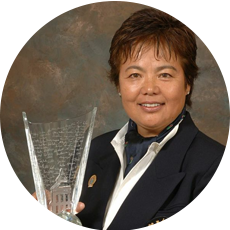 Okamoto won her first LPGA Tour title at the Arizona Copper Classic in 1982. 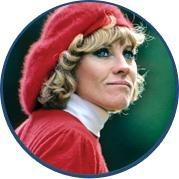 In total, she won 62 worldwide titles: 44 on the LPGA of Japan, 17 on the LPGA Tour and one on the Ladies European Tour. 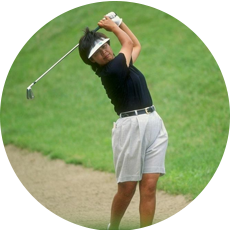 Okamoto’s best season was 1987 when she won four times, topped the money list, and became the first non-American to win the LPGA Player of the Year award. 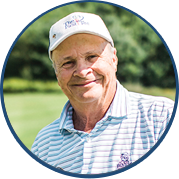 “When I became the leading money winner in 1987, the U.S. LPGA players carried me off the 18th green on their shoulders,” she remembers fondly. Ayako Okamoto didn’t start playing golf until age 22. She handled all the adulation and attention with the same smoothness as her golf swing. She hosted a weekly half-hour television show in Japan, called “Super Golf.” It was the highest-rated golf show in the country.